The Grand Lodge of Connecticut A.F. & A.M. – Making a difference in our state and around the world! Now more than ever, the world needs men of honor and integrity. Men that unite and not those who divide. That seek truth and share Brotherly Love with all, no matter their race, religion, gender or creed. Men that live with virtue and character, always striving to be even better. The world needs more than just men. The world needs Masons. Welcome to the Grand Lodge of Connecticut Website! 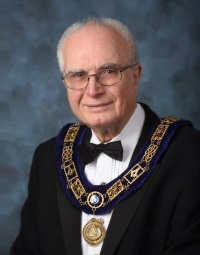 The Grand Lodge of Connecticut welcomes you to its web portal. We intend to have up-to-date information by providing a dynamic setting for information, news, and announcements. We welcome your input. Freemasonry in Connecticut is very active, and we want you to search this site and discover all that Connecticut Masonry has to offer. Check back often to view updates and improvements as we all use this tool for “The Masonic Family, Working Together To Benefit All." The parade starts at 10:00 AM. Open to the general public. Food, entertainment, and rides. Children welcome. SAVE THE DATE!!!! More information to come. The semi-annual communication of the Grand Lodge of Connecticut, A.F. & A.M. Attendance of the Master, Wardens or their proxies is required. Voting on findings, motions and elected Grand Lodge officers, as well as reports of the Grand Lodge.